A Proven Process to Identify, Develop, Disciple, and Involve NEW Worship Leaders in YOUR Church! Yours today for only $99! Includes $991.20 in FREE Bonus Resources – You save over 89%! Is there a Biblical mandate for raising new Worship Leaders in your church? How do you tell the difference between a potential Worship Leader and just a good singer or musician? What are the Top 5 “excuses” the average Worship Leader gives for NOT developing new Worship Leaders, and how can you avoid them? How much work is it (really) to develop new Worship Leaders? How will raising up new Worship Leaders actually SAVE you time every week? What three places can you look to start identifying new Worship Leaders TODAY? Receive over 3 hours of in-depth, practical training from Jason on how to Identify and Raise up new Worship Leaders in YOUR church. Get your copy now! There is a HUGE GAP in Worship Ministry today. It’s not an issue of excellence, desire, or even worship planning. It runs much deeper than that, and has a much more devestating effect on the long-term health of your Worship Team (and your entire church). If left unfilled, it will mean an ever-increasing work load for you as the worship leader, and an ever-decreasing level of involvement for your Worship Team. This GAP is a lack of leadership development — specifically the development of NEW Worship Leaders inside your church. The first time I came face-to-face with this challenge was in 2003. After personally leading all 52 Sundays for The Journey in our first year, I quickly realized that I needed to develop new worship leaders for the good of our church… and my own health and sanity (ever been there?)! It all started by investing in one gentleman on our Worship Team, and that’s when I began to grasp the God-given mandate for ALL OF US as worship leaders to intentionally identify and develop new worship leaders in our churches. That initial investment developed into a system to identify, train up and involve over 30 volunteer worship leaders in the first 12 years of The Journey Church. It wasn’t without missteps… I made my fair share of mistakes along the way! BUT… looking back on that investment that began over 10 years ago, I thank God for the men and women who are now leading worship regularly in our Journey campuses, as well as churches around the nation. 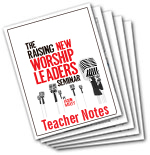 The Raising New Worship Leaders Seminar is the brand-new resource from Jason Hatley that is over 12 years in the making! Why talking and transitions are the HARDEST skill for new Worship Leaders to master, and how to help them do it quickly! Three Hours of Training broken down into easy-to-manage segments on MP3 files. PLUS – one full-length MP3 of the entire seminar for easy sharing with staff, key leaders and volunteers. Student Guide with fill-in-the-blank notes in a convenient PDF format that you can print and use to follow along, or simply view on your computer or tablet for easy reference. A Complete Leader’s Guide so that you can take this workshop and train your staff, key leaders and volunteers. You’ll have everything you need to lead this seminar in your church! So as an introductory special – because I want to give you the greatest opportunity for success in identifying and raising up new Worship Leaders – today you can save over 89%! The total retail value of this package is $1,591.15 – but you can download everything for only $99 THIS WEEK ONLY! 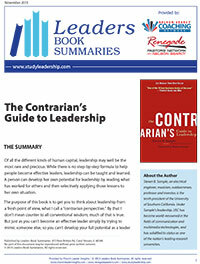 Ministry and Leadership Book Summaries A $79.00 value – yours FREE! 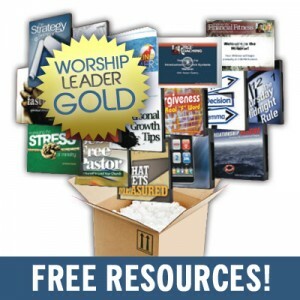 One FREE Month of the Worship Leader Gold Network (a $99.00 Value)! The PLUS: Fast Action Immediate Bonus When You Join! Worship Leader Gold is about a comprehensive approach to life and ministry. As a member, I’ll help you stay one step ahead of the calendar, make the most of your time and resources and fulfill your calling for the sake of the Kingdom. The Worship Leader Gold LIVE MONTHLY UPDATE AND LEADERSHIP BRIEFING. At the heart of the network is a monthly update and briefing from me via LIVE Conference Call. This monthly “pastor to pastor” call (which will be recorded on MP3 for your library) will be a personal, practical, packed-with-content training where I will challenge you, enlighten you, equip you and guide you to maximize your next season of ministry.With the Worship Leader Gold Monthly Update and Briefing, you’ll always be one step ahead in your planning and fully inspired and equipped to lead your worship ministry at the highest level ($199.00 per month value). Monthly Equipping Interview/Conference Call – with me, Nelson Searcy, one of our mentors, a noted author or ministry leader – previous interviews include Steve Stroope, Larry Osborne, Patrick Lencioni, Tim Stevens and more. Listen live when you can, and you’ll receive an MP3 recording each month ($195.00 per month value). 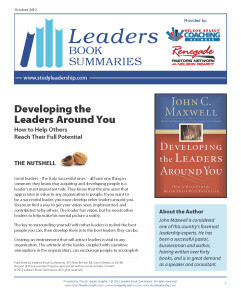 Two practical, nuts-and-bolts CD’s sent directly to your mailbox each month. Even if you can’t make the live briefing or equipping calls – we’ll be sure you don’t miss a thing each month. Monthly bonus mail package to help you stay on track and ahead of the calendar. This monthly kit will be mailed to you, including recordings, transcripts, members-only opportunities, event invitations and more! 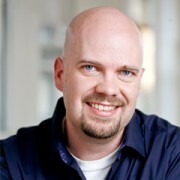 Private Call-In-Hours where you can talk directly to Jason ($295.00 per month value). 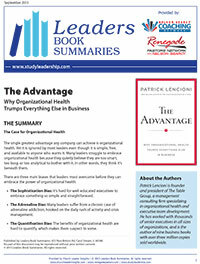 NEW – Monthly Book Summaries for the duration of your membership. Your Worship Leader Gold membership includes a complimentary subscription to the leading executive summary service for pastors for no extra charge – that’s 30 book summaries per year ($379.00 per year value). FREE “Growth Points” Newsletter written by Church Growth expert Dr. Gary McIntosh. You will be able to keep up with the latest research and learnings on church growth and church health. RESTRICTED ACCESS Online Membership Site/Blog/Resources ($99.00 per month value). You’ll have instant access to all your Worship Leader Gold benefits, documents, recordings, etc. in your online Worship Leader Gold hub. Continually Updated WORSHIP LEADER GOLD RESOURCE DOCUMENTS AND DIRECTORY ($399.00 per month value). If there’s a document that we use at The Journey or that is shared by someone else in the network (and I think its helpful) I’ll share it with you. 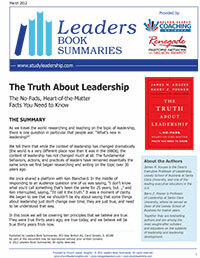 Members-Only 30% DISCOUNT on all Worship Leader Insights and Church Leader Insights Resources ($245.00 value). FREE Webinar Access to all Church Leader Insights and Worship Leader Insights Webinars ($197.00 per month value). NETWORK ONLY rates on Coaching Networks and Advanced Coaching Networks ($141.00 per month value). As a member of Worship Leader Gold, you’ll be able to enter a future 12-Month Worship Pastor Tele-Coaching Network or put a staff member through one of our other networks at the lowest possible rate. Lowest Event Registration Rate for all Church Leader Insights and Worship Leader Insights Events ($100.00 per month value), including upcoming Renegade Pastors Conferences and Church Systems Bootcamps. $813.20 in FREE Resources when you join today! These resources will be waiting for you in yourWorship Leader Gold Online Hub within two hours of the time you join – you can start taking advantage of these resources immediately! Total value of resources and training you receive exceed $2,568.00 per month. But this exclusive network is far more than just the resources you receive. The focus it provides for your ministry and the ideas and insights in your life are simply priceless. Includes $991.20 in FREE Bonus Resources- You save over 89%! If you listen to and apply the lessons from this resource and you still do not believe you have a complete new strategic tool kit to address your biggest leadership challenges, just return it ANYTIME WITHIN THE NEXT YEAR for a full no-hassle, no questions asked refund. Save $50.00 on the Leading with Authority in Rehearsal seminar. Discover how to get peak performance from your team in the rehearsal setting every week! ONLY $49.00 - Yes, Jason I want to discover how to create a weekly music plan, how to bring the best out of the musicians on my team, what I should communicate to my worship team before rehearsal, how to handle difficult team members, and more! I understand this is a ONE TIME OFFER. 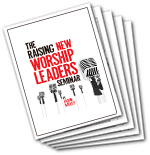 You will be billed $99 today for the “Raising New Worship Leaders Seminar” and receive over $813.20 in bonuses! You will also receive one free month of the Worship Leader Gold Network. After your 30 day free trial of the Worship Leader Gold Network, you will be billed $99 and every 30 days after that. Your statement will show the charge from the Nelson Searcy Company. Your Worship Leader Gold membership subscription is for ONE church. Please do not distribute these resources to any other church, organization, or individual. If you run a network, please contact us about network pricing. All materials are protected by federal copyright laws and cannot be distributed or reproduced without written consent. If you have any questions about your membership, please contact us by calling 800-264-5129.